We are very excited to announce that our fifth edition of Frequency Festival will be hosted in Lincoln from 24–27 October 2019. 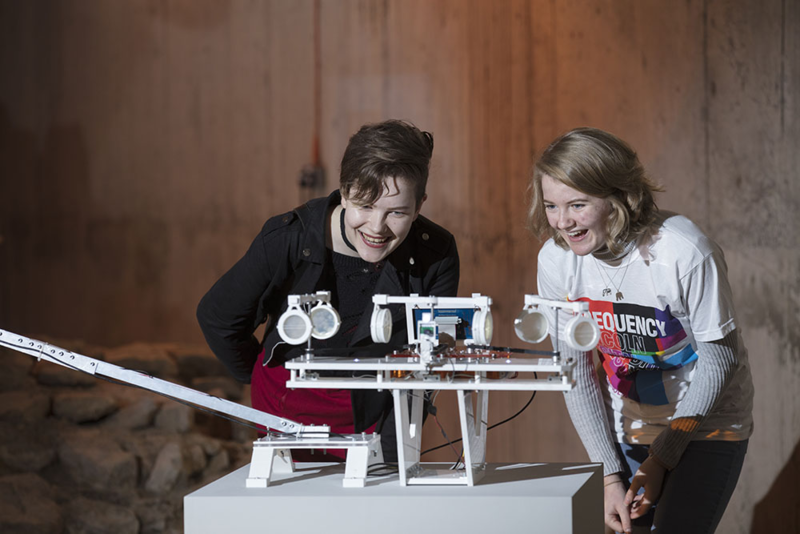 Frequency Festival takes place every two years and welcomes artists, creative technologists and visitors from across the city, the UK and the globe, to come together for an extraordinary showcase of digital creativity and energetic debate on digital culture. As the countdown has started with less than a year to go, we are also pleased to announce the 2019 festival theme, ‘Disruption = Cultural Reinvention’. Our relationship with the digital realm has changed significantly since the festivals inception 8 years ago. With technology advancing at such a rapid pace, innovative ideas continue to emerge; disrupting the status quo. Whether it be the radical changes to our local high street, the impact of our mobile phones and online persona on our personal relationships or how we form a view on the world around us, digital has become intrinsic to everything we do. And having access to the internet anytime and anyplace, from the device in our pocket, makes cultural disruptors of us all. Frequency Festival 2019 is set to be brimming with thought provoking exhibitions of new and innovative works by emerging and established artists, live performances, site-specific pieces in unexpected places, workshops and talks. Immersive and interactive experiences will interrupt daily life and captivate the imagination of audiences that encounter them. Whether you are a digital native or technophobe, gallery-goer, heritage enthusiast, or ‘not into art’; digital is for everyone. 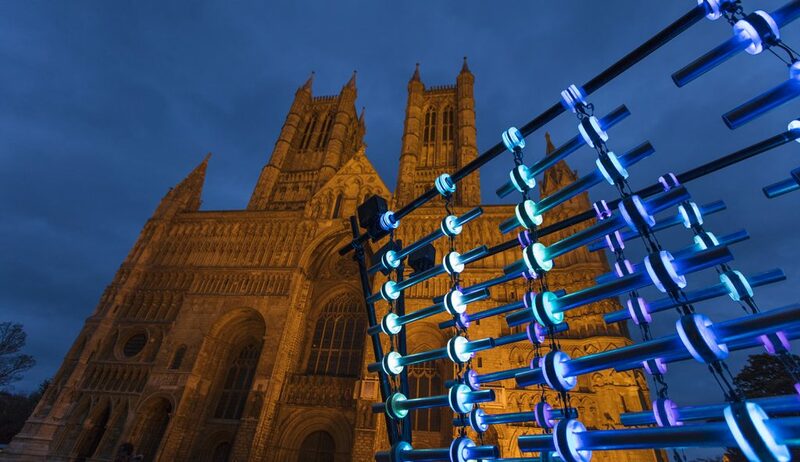 “Frequency Festival brings artists, creatives, local and international visitors together in Lincoln to celebrate the very best emerging and developing digital culture. 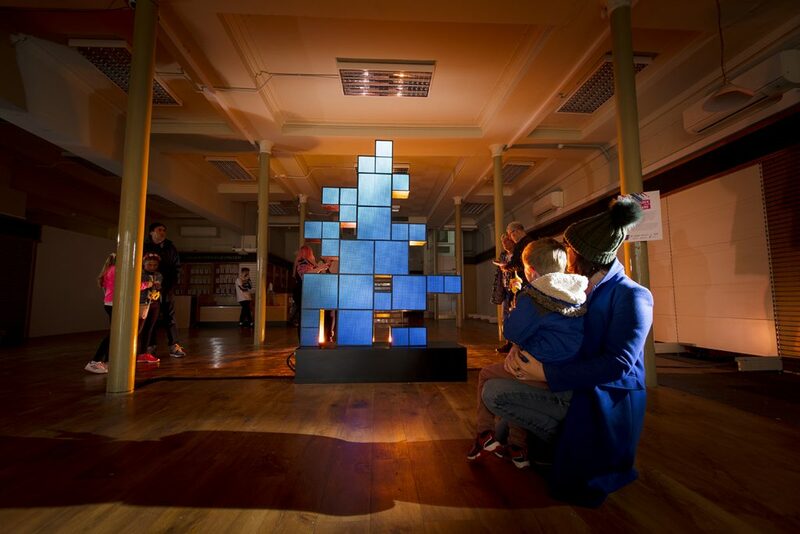 The festival gives people the chance to discover new things, where they can explore the digital world through immersive street art, installations, workshops and performances. Frequency Festival is produced by Threshold Studios in partnership with the University of Lincoln and supported using public funding by the National Lottery through Arts Council England. The event is driven by a dynamic city wide collaboration of public sector organisations including Lincoln Big, Lincolnshire One Venues, Visit Lincoln, City of Lincoln Council and other collaborators, along with support from the business community. Since 2011, Frequency Festival has been committed to nurturing the next generation of creative talent to develop skills and connect to industry in a way that is meaningful and mutually beneficial for students, graduates, volunteers and local businesses. “Frequency Festival has evolved into a genuinely unique and innovative offering that connects artists and audiences in exciting new ways. As one of the founding partners behind the original festival in 2011, the University of Lincoln is extremely proud to be support Frequency again as it returns to the city for its fifth iteration in 2019. To reflect the ever-changing city and the fast-growing digital sector, we have evolved a new format for the 2019 festival. The programme will be across four jam-packed days, including events to harness the collective voices of the creative industries, spark debate and shape the future of digital culture. “Lincoln is a city that continues to evolve in the most exciting way and we are looking forward to developing and presenting all the best of what Frequency has offered since 2011 with a fresh twist! We are still busy fundraising and reaching out to businesses to help us put on a great festival again and hope that our audiences will come on this new journey with us and celebrate all things digital.” said Uzma Johal MBE, Co-Director of Frequency Festival. DUET by Invisible Flock and Quicksand at Frequency Festival 2017. Photo credit: Electric Egg. “Lincoln is growing at a very fast pace with an incredible level of investment coming into the city centre, completely transforming it through a brand new £30m transport hub, associated regeneration of adjacent streets and investment in a free WIFI network across the area. The success has been integrating the historic nature of the city with a contemporary dynamic feel. Frequency Festival therefore has a natural home in the city and sits alongside other high profile events such as the Lincoln Christmas Market, summer Steam Punk and Lincoln’s 1940’s weekend. Programme call outs and opportunities to get involved with Frequency 2019 will be announced in the new year. To be the first to hear from us; sign up to the newsletter and follow us on Twitter, Facebook and Instagram #Freq19.